When I accepted Jesus into my life, I thought to myself “That’s it! Life is set from here on out.” I imagined the rest of my life riding on blazing chariots of fire through each day till I met Jesus in heaven. At first, it was wonderful, and I saw God transform an unsure and insecure kid into a someone with a passion and desire. Slowly, the reality and circumstances of life hit me. In a period of my life where I was pouring myself out for God’s calling, I saw my personal ministry lack fruit. Everything I tried seemed to end in disappointment, at least in my own eyes. Whenever I prayed for something, it didn’t seem to go the way I wanted it to go. Yet I wanted to persevere and continue to serve in different capacities in hopes that I would be able to break “the funk/drought/desert” periods in my journey with God. I had read of many instances in the Bible and missionaries going through similar periods. However, these servants repented and turned back to God. They chose to be filled with His Spirit and re-entered into their areas of ministry. I, in my immaturity and recklessness, forged forward. What ensued was envy towards my fellow Christian brothers and sisters and bitterness towards God. God became the reason I was miserable. I started to gradually withdraw myself from the church and other Christians. Instead of community, I chose to look after myself and pursued belonging in the world through work and relationships. Healthy boundaries that were ordained in my life by God were thrown out and I exposed myself to the ways of the world. This distancing continued for 2 years. One day, I decided to reject God and the church. It seemed perfect. I was starting a new job and I was ready to taste “the good life.” I was done waiting for God to save me out of my misery and decided to take my future into my own hands. I was now excited to live my life to my own expectations. The second I made the decision, it felt as if a huge weight had been lifted off. At first, life was fresh and full of hope, but soon the sense of impending doom crept in. I was confronted with futility of my choices and found myself helpless. The question of “Am I damaged beyond repair?” would ring through my mind and I would find anything to drown it out. However, I was stuck in a cycle. I went from week to week of going to work followed by weekends of escape and trying to numb the pain. Outwardly, I professed to my friends that I was no longer a Christian and God did not matter to me. Yet, God never gave up one me. Praise Him! A handful of my Christian friends stayed in touch with me and never gave up on Jesus bringing me back. On the way to meeting one of them, I was debating how I would be able to fix my life. The thought of going back to church and repenting entered my mind. That’s when I heard God speak clearly, “I can forget the last two years of your life.” For the first time forgiveness and grace felt real. I no longer had to work my guilt away like a prison sentence. Instead of listening to the voice of self-criticism, I was overwhelmed by love that I could never manufacture. I did not know how to contain my joy in the moment. That week, I joined a small group and went to a church service at lunch. My colleague and partner-in-crime asked me what had suddenly changed. I had no “cookie-cutter” response and all I could tell him was that I was excited about following Jesus again. The journey back to faith has been one of surprises, turns, falls, anger, regrets, love and filled with grace. There have been days and weeks filled with the same doubt and struggle where the bitterness towards God followed by the guilt of my past actions overtakes me. Yet in those moments, I feel God telling me “It’s ok. You’re ok.” My response to that is to repent, praise Him and thank Him for saving me from my own self-destructive ways. I thank God that I have a future in Jesus’ death and resurrection. God has instilled compassion in me for the people around me. God has taken away envy and judgement I had towards people in the Christian community and instilled in me love and grace for my brothers and sisters. My current work as a recruiter means that I figure out a person’s strengths and weaknesses and find their ‘Red Flags’. After receiving repeated forgiveness, I now feel empowered to extend grace to my candidates. God has opened so many opportunities to me to show the same grace that I have received. My conversations with candidates are no longer about their work but about helping them realize that they have been gifted and called for a special purpose in life. I now feel ready to trust God more in my work and believe in His transforming power in people’s lives. The call to come back to Jesus was a very clear and distinct one. It was borne out of a need to fix myself and find a purpose. I have come to understand now that I cannot do this on my own strength. Instead, I thank God for my salvation and that I do have a future in Jesus’ death and resurrection. Everyday, I chose to wake up and praise Him for my life up to this point and what the future holds. Ashish has been attending Redemption Church since 2011. While he is not networking with every Architect, Engineer or Construction Manager in Vancouver, he enjoys music, sports, learning about the latest advances in the wheelchair and walking all around Vancouver. Have you ever thought being “faithful” looks like putting your feelings aside and proclaiming only the goodness of God? I’m pretty sure that way of living is promoted as holy in many Christian circles. I thought like that too, until I had a very real, personal encounter with the Lord. During an all-church fast, I believe God put it on my heart to bring everything to Him, even the stuff I thought of as unholy. “Just come,” He said. Since then, I have seen a huge increase of intimacy and loving trust as I bring everything to the Lord: my praise, my junk, my doubt, my delight, all of it. For this season of Lent, my prayer for Redemption Church is that every person who desires deeper intimacy will respond to God’s open invitation to come. At the beginning of this process, I experienced a lot of fear about how imperfect my expressions of love were compared to the spotless, righteous love of God. In response to that fear, I felt like the Lord put the following poem in my heart. My love, just keep coming. Blessings on your Lenten reflections. And may you know the joy of deep intimacy with our Lord and Savior. Amen. 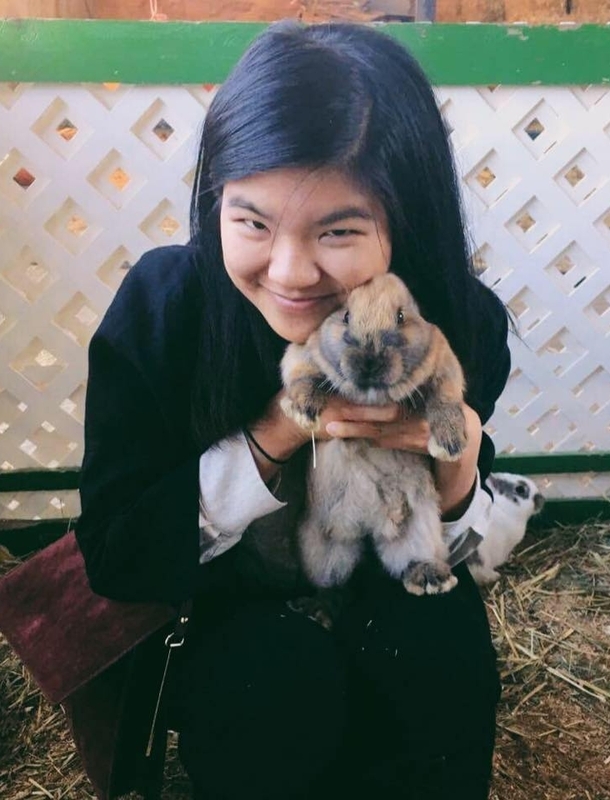 Naomi Wong is a writer whose permanent residence is in California. She spends her days writing novels and poetry and loves prayer ministry, too. She has attended Redemption Church since January 2019. 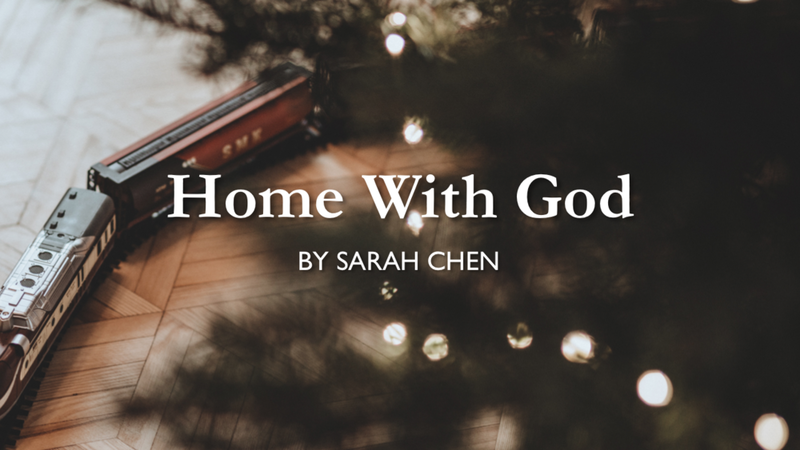 (the reading from the lectionary for this blog is actually just verses 1-3, 17-22, but I reflected about the whole passage – and I can’t resist the beauty of scripture, so gave you the whole thing). I am overdue writing this blog. Honestly, a big part of that is I couldn't decide between all the wonderful treasures I learned through my study of Psalm 107. I urge you to read it again. Observe the story in this psalm. Observe what is repeated. Notice the patterns. 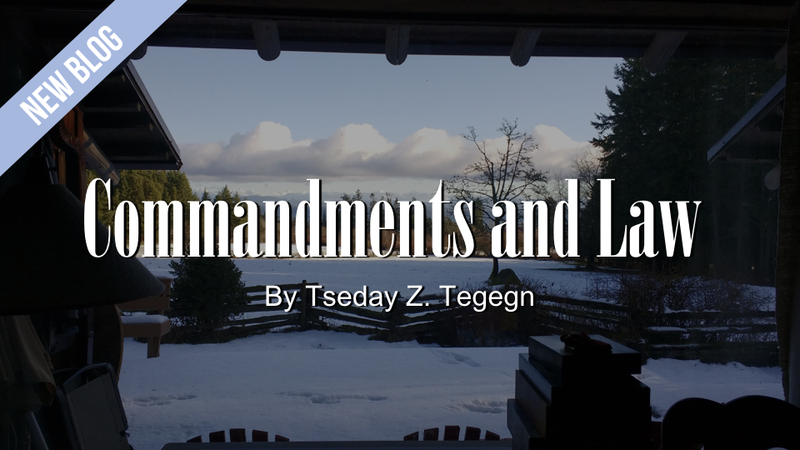 For this short blog I decided to comment on a word used in the first and final verses (and a few times between) because it relates to our Lenten theme of covenant. First, a disclaimer: I am sadly unable to read ancient Hebrew. What I've learned about this word comes from reading a variety of sources online and elsewhere. I share my reflections based on this passage, time spent meditating on it, and the adjacent readings/listening I’ve done. I am open to correction and instruction from those more knowledgeable in the area. In this time of Lent, we have the opportunity to reflect on God’s story of redemption. By looking back and recalling through the stories depicted in our series of lectionary readings (which, by the by, I encourage you to read – we are united with the Church globally in reading these same passages together, to me that seems powerful! ), we see over and over how God is faithful to his covenant with the people of Israel even when they are not. Over and over, Israel strays from the good path God has for them. They do not remember the covenant, and they forget God’s faithful deeds. We are grafted into Israel, and this is also our story – we stray from the path God has laid before us, The Church. We wander in desert wastes, we choose to sit in darkness, we behave as fools through our sinful ways, and we take destructive paths. I confess that too often I wander away from God’s story for me, from his good paths…am I alone in this? If not, please join me, as we cry to the Lord in our trouble, for he will surely deliver us from our distress. 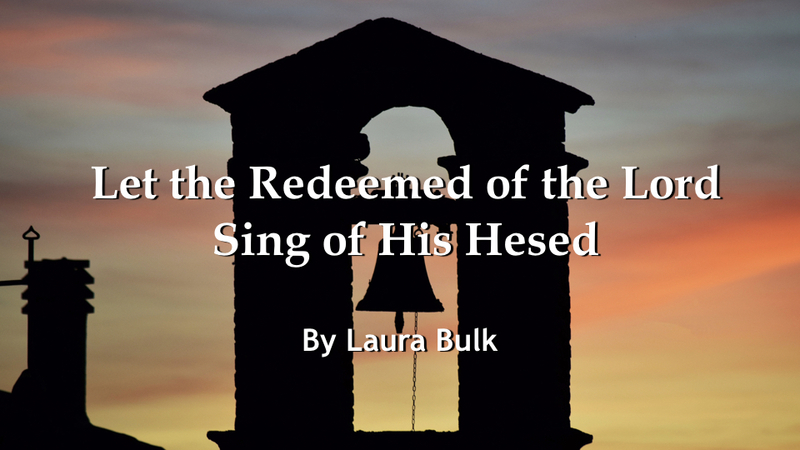 God offers hesed (lovingkindness) even to us – those in disgrace and in need of redemption. We the disgraced are righteous made. God, in his hesed, has mercy on us. He is faithful and steadfast...here is love, vast as the ocean, hesed as the flood! I seize this opportunity to thank the Lord for his hesed, and to extol him in the (virtual) congregation of the people. Have you been redeemed, gathered from east and west, north and south? Are you redeemed from trouble? YES! We are the redeemed of the Lord. Let us tell of his deeds in songs of joy! Let us consider deeply the hesed of the Lord, let us be wise and give heed to the deeds of the Lord – demonstrations of his hesed for those he has made. What a great time to reflect on this passage while taking a break from school work and staying in a beautiful island. This past weekend, I had an opportunity to travel to Denman Island, BC for an annual retreat organized by UBC’s Intervarsity Graduate Christian Fellowship. This retreat is conveniently scheduled during the reading break so that hard working graduate students at UBC have a chance to rest. The travel is long but it comes with lovely experience of riding two ferries and a beautiful drive up from Nanaimo to Buckley bay on Vancouver Island. Leaving fact that Denman is an amazing island to visit, the weekend felt restful in just the fact that we got away from the big city and got out of routine. What a great way to change a routine than to work in a farm instead of our usual desk and computers (for me it also involves laboratory work). For few hours of Saturday, we collected eggs, feed the cows, split wood etc. Until our supper was ready, we walked along the beach and did short hike around the cottage we stayed in. Most importantly, we had memorable times praying and sharing meals together followed by worm discussions around the fire place (there were a lot of games and puzzles involved too). While enjoying my stay in Denman, I was reflecting on Exodus 20:1-17 passage and thinking how it may be useful for us in the lent season that we are in. Since the location and setting we are in change our understanding of passages we read, my understanding of this passage is shaped with my experience at Denman. 3 “Do not put any other gods in place of me… 5 Do not bow down to them or worship them. I, the LORD your God, am a jealous God. I cause the sins of the parents to affect their children. I will cause the sins of those who hate me to affect even their grandchildren and great-grandchildren. Among many things that can replace God in our lives as grad students, I think we could agree that our smartphones and electronics are one of the main candidates. The main reason being we can justify our use as they are deeply integrated into our daily lives. As much as I would like to say I did not use my phone or the internet during my stay in Denman. I had enough reasons to rationalize my use weather it’s documenting my stay or checking the weather. At times, I was preoccupied with taking pictures instead of absorbing the experience. The most interesting point was that I was aware of what I was doing and really judging myself. The electronics we worship and swear by that take away precious time spent focused in our work and most importantly quality time communicating with God. On line 6 it tells us “Do not bow down to them or worship them. I, the LORD your God, am a jealous God. I cause the sins of the parents to affect their children. I will cause the sins of those who hate me to affect even their grandchildren and great-grandchildren”. Although I cannot picture how our grandchildren and great-grandchildren will look at us. I sure know that I don’t want to be remembered as less present in most the activities we take part in. and disconnected with what is going on around me since I am documenting everything for later. I have to admit that it gets really tricky when your favorite hobby is photography and journaling (which I claim as my interest). The question then be do we draw the line? Especially in the lent season that we are in where we should maximize our connection to God and pay attention to the real moments that God has created for us to enjoy. 8 Remember to keep the Sabbath day holy. 9 Do all your work in six days. 10 But the seventh day is a sabbath to honor the LORD your God. Do not do any work on that day. For a graduate students or any adult there is always something to do which makes us guilty to respect the Sabbath which is created to give us rest and replenish our energy for the rest of the week. 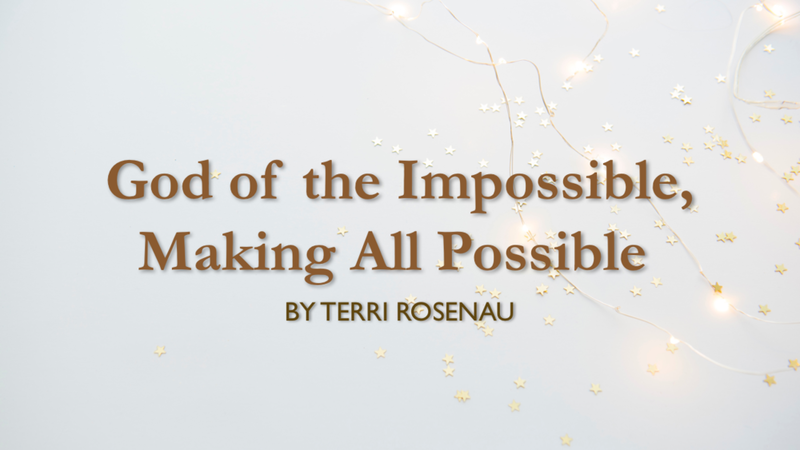 It is also a way of relaying on and trusting in God that the work we have to do spread out could be completed in much shorter time if we just took a break and get back to it with full energy. Giving our body and mind a rest even though we can’t afford it is probably a very wise decisions for increasing our productivity in long-term. While doing farm work, I had a chance to think about my field of study in very broad spectrum. Often times doing totally different task gives our worn out mind a rest while still being productive. So for many Sabbath may not be sitting idle (especially if you spend your week sitting at work) where others they may need to be idle and let their body and mind a rest. The questions are how to be bold enough to take unapologetic rest day? How can we structure our week that we can afford to take a Sabbath? Tying these two points, keeping Sabbath is possible if we don’t waste time on our modern day gods and learn to use them appropriately. What can we do for the season of lent and beyond? I challenge you and I to limit the distractions created by our unnecessary use of our smartphones (varies for each individuals) and fill those slots with short prayers on our desks or reading a verse or two to fuel the rest of our day. Be more efficient and work truly at work so we can afford a Sabbath that is enjoyable and rejuvenating. Most of all a day connects with God at much deeper level.